My product is not affected or has already been serviced for this recall. Take me to the Home page. View and print the recall brochure. If you own affected product(s) you will also need to complete the Help me application (if you haven't done so already) to order a prepaid mailing label for the return of those items. ATTENTION TO CONSUMERS OUTSIDE OF THE UNITED STATES AND CANADA The list of products included on this website are ONLY for the recall in the United States and Canada. To determine the recalled products in your country, please contact your local Mattel office or distributor. Please click here to look up the contact information. Additionally, your local retailers that sold the recalled product have received information concerning the recall and can assist you in determining if you own any of the recalled products. 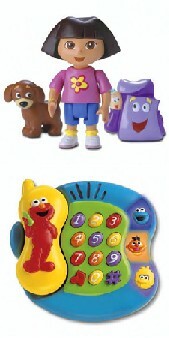 You may also find information on your local Fisher-Price website at: http://www.fisher-price.com/intl.asp.